Iranian President Mahmoud Ahmadinejad is to auction off his 1977 Peugeot 504, a key plank of his populist image, to raise money for charity, state television reported today. The money earned from the sale at international auction will be given to the Mehr housing project, a network of cooperatives that provides affordable housing for low-income families, the television's website said. ‘In order to help the Mehr housing project, as an act of charity yesterday (Sunday) Mr Ahmadinejad put his car up for sale,’ the website quoted Welfare and Social Security Minister Sadeq Mahsouli as saying. ‘This car is to be sold in an international auction,’ the minister added. 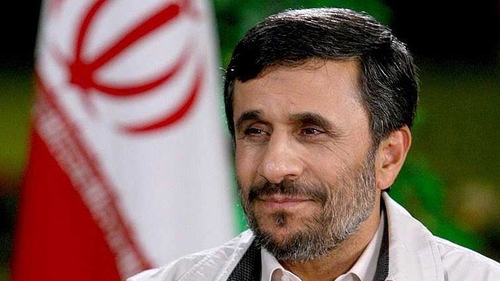 Mr Ahmadinejad has always cultivated an image as a ‘people’s president’ and friend of the poor. After his election to his first term as president in 2005, he was required by law to make an asset declaration and he listed a then 40-year-old 175sq.m house in a lower-middle class part of east Tehran, the contents of two cheque accounts and the ageing white Peugeot. Following his controversial re-election last year, he vowed to put 'housing, employment and economic reform' at the top of his agenda after house prices soared during his first term of office. Under the Mehr project, housing cooperatives are given free state land and low-interest loans with which to build cheap residential units for first-time buyers. In February, Housing Minister Ali Nikzad said that around one million Iranians were eligible for the project. He said deals had been signed for 525,000 units with another 444,000 given a preliminary green light.